ICYMI: The Hunger Games: Mockingjay - Part 1 has landed on physical media formats in the United States, Canada, Australia and Latin America today! 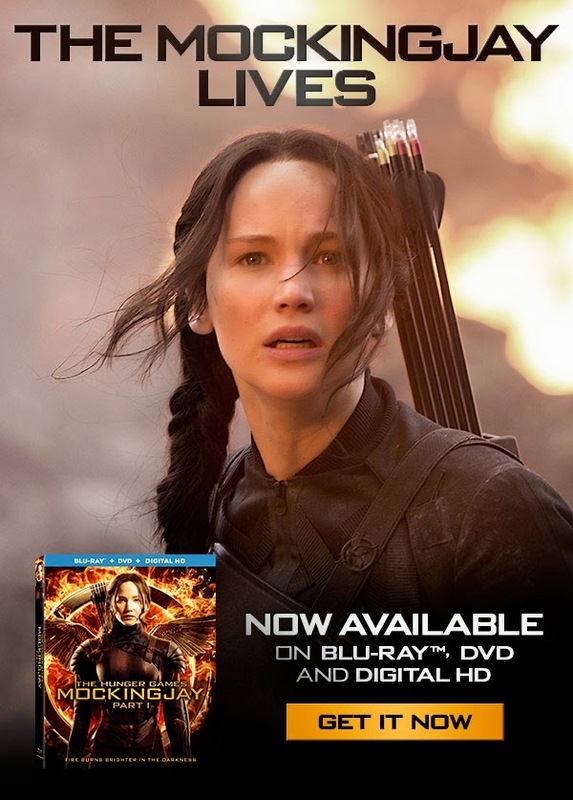 Regular Blu-ray/DVD/Digital HD Combo Pack - includes film (with Dolby ATMOS/TrueHD 7.1 surround sound and DTS Headphone:X virtual surround sound), with 2-hour "The Mockingjay Lives" BTS doc, audio commentary from Francis and Nina, deleted scenes, PSH tribute and Lorde featurette. Also includes redeemable code for Digital HD copy through iTunes (with all above special features) and UltraViolet. Target Exclusive Blu-ray/DVD/Digital HD Combo Pack - includes everything from regular Blu-ray/DVD/Digital HD pack, with extra DVD bonus disc featuring 45 minutes of new BTS footage, special packaging and fabric poster. Best Buy Exclusive Blu-ray/DVD/Digital HD Steelbook - includes everything from regular Blu-ray/DVD/Digital HD pack with special steelbook packaging. Wal-Mart Exclusive Blu-ray/Digital HD Combo Pack - rental/Redbox version of the Blu-ray with only Dolby Digital 5.1 audio and no special features, with special packaging. Digital HD access with full regular Blu-ray bonus feature set through VUDU included. Other territories should be getting the film in the coming weeks, so stay tuned - and those who got the film today, enjoy it and let us know if you find the elusive Easter Egg...no cheating!